20 years later, it's hard to imagine she was talking about Early Access game Slay the Spire. 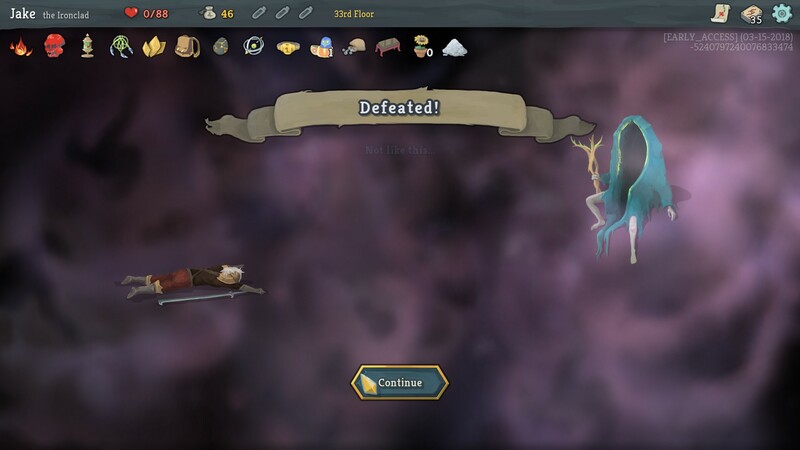 Regardless, the race in Slay the Spire, a deck-building roguelike, is long, and in the end you are playing against yourself, but a version of yourself from 10 minutes ago that didn't realise how much the choices made then would mess you up now. 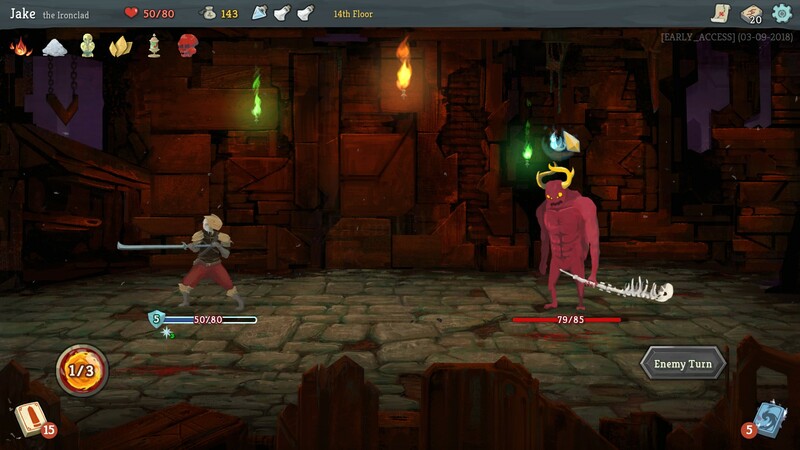 Slay the Spire starts out as a game of long-form failure, as a choice made in the second fight trips you up on the 22nd. You're an adventurer trying to ascend to the top of a spire, tall as a mountain, that's guarded by an untold number of enemies and traps. If your health is reduced to zero, you'll die and be deposited at the bottom to start afresh, albeit with a couple of randomly assigned rewards for your previous efforts. It's a perfect storm for me, as I adore roguelikes, but also have a soft spot for card-based noodling. Here, each node presents a new opportunity to get a better understanding of the game and the player's capabilities within it. Each run is a chance to try and find the magic combo that brushes those that would stop me aside and grants me supreme power. So far, there hasn't been a lot of supreme power, but I always feel like I'm just one card or relic away. Play sees you selecting a class, each with its own preselected deck, and then battling your way up the spire. Every node you visit could have a fight, a merchant, a random event, or even a chest with loot inside. Every encounter will have some effect on you as a character or the deck you use to fight with. You keep going until you win or lose, but along the way you start to shape your character. Perhaps this character relies on the Whirlwind card to win their battles, and as a result you're suddenly building a complicated delivery device to allow you to unleash the Whirlwind as hard and fast as you can. Slay the Spire's mix of deck-building and roguelike is the best of both worlds. Both genres thrive on uncertainty, of trying to carve a path through impossible odds by crafting a winning strategy out of the very chaos swirling around you. Here, accumulating strong items isn't enough; you need to craft strong cards that synergise well. Each character — there are two in the game currently with a blacked-out spot for a third to slot in before launch — has several archetypes to play with. My favourite, the Ironclad, offers a barbarian power fantasy full of deadly blows, spinning attacks, and even the ability to spew fire at the end of each turn, damaging enemies for every card played in a turn. You'll use your character, no matter how successfully they've come together, to tackle an extensive bestiary of threats, with each monster bringing its own complex mechanics to the battle and requiring specific strategies to slay. There is no single winning strategy for each fight, but because you only get to craft a single deck, you can sometimes come up against an enemy you're completely ill-equipped for and have to stagger through, content not with a perfect victory but with anything that ends with your survival. Your health bar becomes a loved friend, and as you can see every enemy intent at the start of each turn, learning when to take damage on the chin or try to block it with several defence cards becomes an important skill. 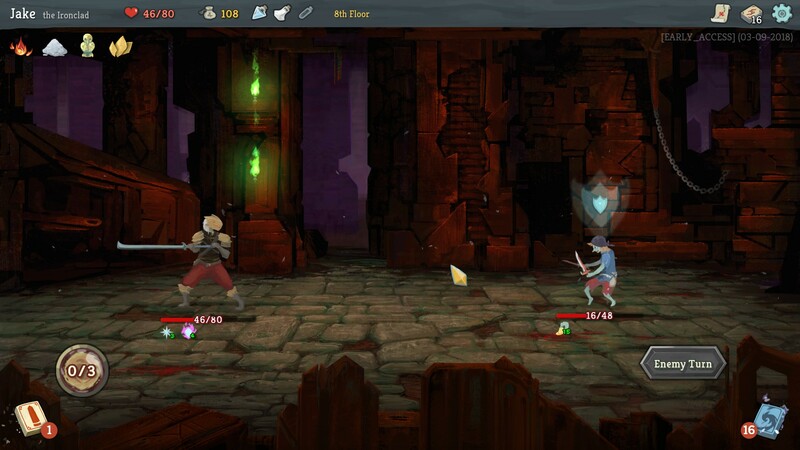 Healing is hard to come by in Slay the Spire, and death comes quickly for those who don't know how to mitigate the risks of getting twatted by a bunch of goblins. Slay the Spire has fast become one of my favourite games when I've got 30 minutes to spare, although the more you play the game the more it lays bare its mechanical limitations, and the issues with balance become more obvious. 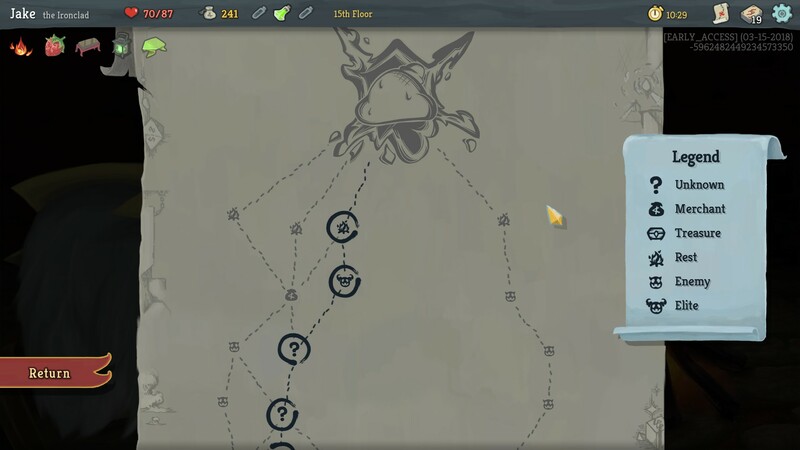 The problems are simple: Despite a random climb up the spire itself, having only three parts means you will fight three bosses and then achieve success just as you start to feel truly comfortable with a deck, and the fact that these three segments are always the same does a lot to hamper the replayability. Several cards and archetypes also seem to just be outright better, a common problem with card games but something that is taken care of in titles like Hearthstone with constant balance changes. 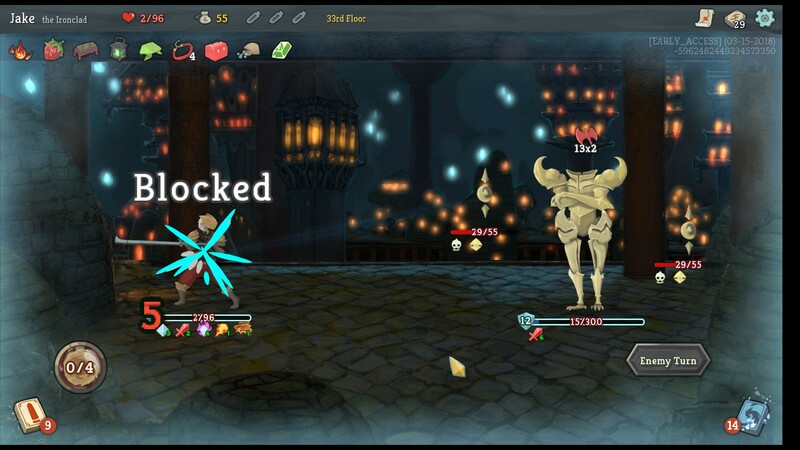 Of all of the challenges that Slay the Spire offers, the structural issues of the game could well be the most difficult to adjust too. While the initial experience of the game already feels mechanically quite polished, it needs some weight added to the endgame to stop things petering out as it closes and keep the quality consistent with the earlier bits. I'm optimistic about Slay the Spire, because there's a fun core game here that's engaging and satisfying to play. I'd recommend it as it is right now without hesitation, but it still has a little way to go to be a true great - I certainly hope it makes it there.